We’ve been in the washer and dryer repair business in Cleveland for a long time, and we’ve learned a few things. First, people tend to love their front-loading washing machines. It’s not surprising, considering they are highly efficient in terms of water and energy usage, they are ergonomic, and the cleaning process on clothing tends to be gentler. We’ve also learned that not many people enjoy paying for repairs and, sometimes, it’s more cost effective to simply buy a new washer. We get it, but not all of us have that kind of money. You might be better off with a machine that runs effectively for as long as possible. But how do you make that happen? It’s easier than you think, and we’re going to share a few tips for you to prevent problems from popping up down the road. It’s important to not only use the right kind of detergent, but also the right amount of detergent. Read the label closely and always use laundry detergent that’s made for high-efficiency machines. It makes a difference because regular detergents can create more suds that can gradually build up film on the hoses and drum. This film can lead to a buildup of mold, and create electrical and mechanical issues. Call For Washer Repair Now! Along similar lines, go light on fabric softeners. Since your high-efficiency machine uses less water, less cleaning products are needed. For liquid fabric softeners, a teaspoon is all you need. For bleach, use 1 tablespoon of concentrated bleach or 2 tablespoons of normal bleach. Once your load is done, remove the clothing as soon as possible. By letting your damp clothing remain in the washer for a long period of time, you run the risk of mildew collecting and an unpleasant musty smell. 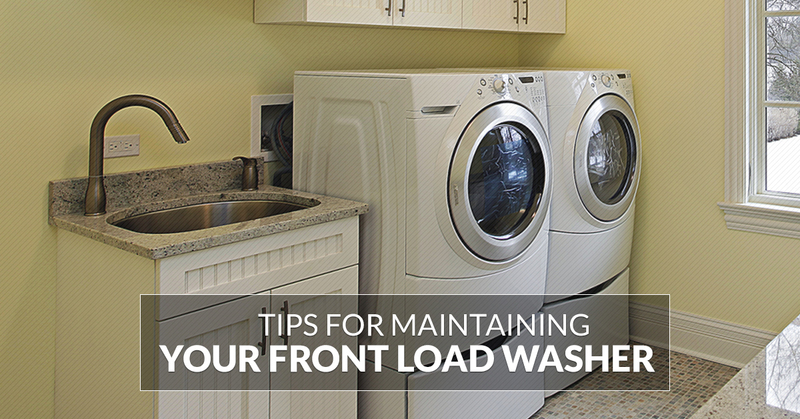 When the washer isn’t being used, leave the door of the washer open a little. This allows air to circulate freely inside the machine, and it also prevents mildew and mold buildup. Also, don’t let pets or children climb into the washer. A good habit to get into is to clean the rubber seal on your washer door regularly. By cleaning that seal, you can stop mold buildup, get rid of gunk, hair, or fabric that gets trapped, and prevent the machine from locking in odors. A 50/50 solution of water and vinegar will do the job nicely, and you can use cotton swabs for hard-to-reach areas. A better habit is to clean the interior of the machine monthly. Don’t worry, it’s easy. Instead of detergent, pour some distilled white vinegar into the dispenser. Along with that, add 1 cup of baking soda right into the drum. Run your washer on the hottest cycle possible, and then do an extra rinse. If your machine has a persistent smell of mildew, use bleach instead of vinegar and run a couple of quick cycles with hot water. If your machine has a self-cleaning option, just follow the directions for that in your manual. In today’s world, not many products are really built to last. However, if you use your washing machine correctly, and periodically perform preventative maintenance, you can expect years of faithful service.